Production of bile. Bile enables you to digest fat and it is a way in which your body excretes excess cholesterol. Production of fat and also burning off excess fat. Your liver produces cholesterol and other fats, and it has the ability to burn fat in your body for energy. Therefore a healthy liver helps you maintain a healthy body weight. Storage of vitamins and minerals, especially iron. Detoxification of your bloodstream. Your liver breaks down and excretes hormones, medications, toxins and other wastes. Storage of glucose that can be released into your bloodstream if your blood sugar level gets too low. Looking after your liver is vitally important if you want a long and healthy life. The food you eat each day can have a beneficial or harmful effect on your liver. Fish: This is beneficial for liver function because it is an excellent source of protein. Your liver requires the amino acids in protein in order to carry out detoxification. The enzymes required for phase 1 and 2 detoxification in the liver depend on amino acids found abundantly in fish, as well as other protein rich foods. Another benefit of fish is its high omega 3 fatty acid content. Omega 3 fats are a natural anti-inflammatory and fantastic for people with raised liver enzymes, indicating an inflamed liver. Fish oil can be taken in capsule form if you don’t consume fish at least three times a week. Vegetarians and vegans can get omega 3 fats from algae. Brazil nuts: These nuts are the highest natural source of the mineral selenium. Your liver needs selenium in order to detoxify your bloodstream. Selenium also has a powerful anti-viral action and is very helpful for people infected with hepatitis B or C. If you do not eat Brazil nuts regularly you can obtain a good dose of selenium in Selenomune Designer Energy capsules. 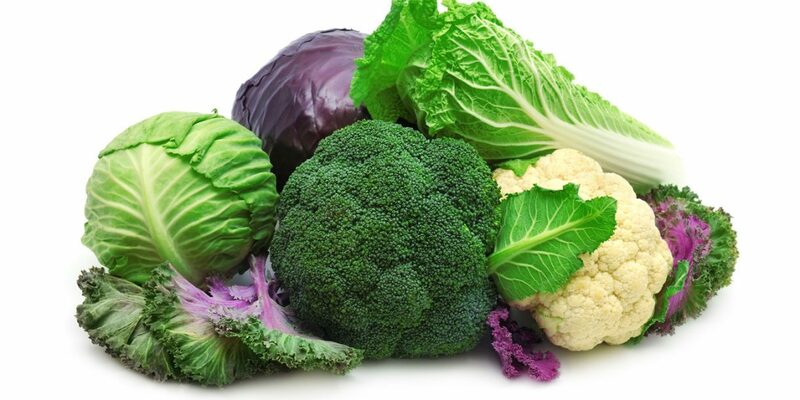 Broccoli: All of the vegetables in the cruciferous family are highly beneficial for the liver. Other members of this family include kale, collard, cauliflower, cabbage and Brussels sprouts. These vegetables contain a substance called sulforaphane, known to boost the activity of phase 2 detoxification enzymes in the liver. Therefore eating these vegetables regularly will make your liver more efficient. Globe artichoke: This vegetable is a powerful liver tonic. It improves sluggish liver function and sluggish digestion and helps the body to excrete excess cholesterol. Globe artichoke also contains caffeoylquinic acids, which protect and regenerate the liver. If you do not regularly consume globe artichoke you can find it in our liver tonic called Livatone. Garlic: This pungent herb has an enormous range of benefits in your body, plus it helps to keep your liver healthy. Garlic is high in sulphur, which is required for phase 2 detoxification in the liver. In most people phase 2 detoxification is sluggish and garlic helps to speed it up. Onion, leek and eggs are also high in sulphur. Green tea: Technically not a food, but we had to include green tea because it is immensely beneficial to the liver. It contains the powerful antioxidant called EGCG which protects liver cells against the damaging effects of free radicals. Liver cells are easily damaged while carrying out their usual detoxification functions. A therapeutic quantity of green tea is four to five cups per day. If you don’t have a taste for green tea you can find green tea extract in our liver tonic called Livatone Plus.